Floridaa in Faridabad is affordable Apartments in Faridabad which is the dream project of OP Chains; which is intends to provide luxurious and comfortable lifestyle to all common people in a very affordable price in Sector 82, Faridabad. 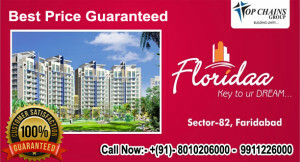 The Floridaa Flats in Faridabad are available in 2 BHK units with 504 Sq Ft and available in very reasonable rates. The price may vary as per the facilities chosen. Floridaa Apartments provides 2BHK flat with two bedrooms along with, hall, and 2 separate toilet facilities with Perfect ventilation services. 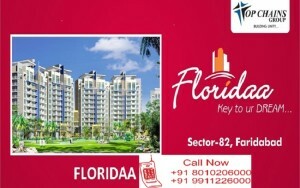 Floridaa Flats It is designed for individuals flat area size of 473 Sqft , This 2BHK is a wonderful choice for the individual those who necessary to get spacious residential Apaertment only by spending affordable price.